She may be international, but Long Island�s home and it�s where her roots are buried. 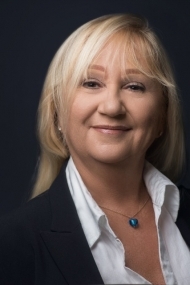 Kathy Rose is a Coldwell Banker veteran who lives in the settlement of Petty�s, Long Island. She lived in Norway for 15 years and in the Florida Keys for 18 years. Kathy studied computer programming and Norwegian in Norway before moving to the Keys. She�s a real estate professional, having worked as an agent with Coldwell Banker Schmitt Real Estate Company in the Keys for 13 years. She specialized in vacation rentals, long term rentals and sales. Kathy is hard working and focused and loves to help people find that dream home or special retreat. Kathy�s family is from Long Island and as a child she spent lots of time there with her grandparents, aunts and uncles. She is fascinated by the beautiful beaches, the water and boating. Exploring the island is one of her main hobbies. Kathy met her husband in the Florida Keys. They got married in Clarence Town, Long Island. They both love the outdoors, boating, fishing and swimming. Drawn by the quiet laid-back lifestyle and the kindness of the people, they decided to make Long Island their permanent home.